Business owners in South Oceanside, CA, may depend heavily on computers, security systems and other electronics. They have invested quite a bit in getting them set up and rely on their accuracy and performance. But what happens when a pipe breaks, a faulty sprinkler system is set off, or there is water damage from extinguishing a fire and the owner ends up with a room full of flooded electronics? It can be an expensive process to deal with the mess and repair, to say nothing of the electronic damage that they experience. The National Electrical Manufacturers Association (NEMA) has some strict guidelines about what may be salvaged in the event of flooded electronics. Each piece of equipment must be evaluated to determine what may be refurbished and what must be scrapped. 1. In many cases, the manufacturer must be consulted. 2. Inspection will determine what needs to be replaced and what can potentially be reconditioned. Items such as electrical distribution equipment, motor control equipment, adjustable speed drives, and motor control centers are all subject to corrosion and insulation damage and will likely need to be replaced. However, some power equipment, transformers, outlet boxes and fittings, conduits and tubing, wire, cable and arc-fault circuit interrupters, surge-protective devices and cable trays could potentially be rewired and tested for reuse. Batteries on the other hand, are subject to internal corrosion and rust, may expel harmful corrosive elements and should be destroyed. These are just a few of the items that must be considered and may vary depending on time and saturation of water exposure. Meeting all of those requirements can be very intimidating. Determining the extent of the damage and what needs to be done about it is a job for professionals who are versed in the NEMA guidelines for flooded electronics. This is not something that a business should decide. A business owner in South Oceanside, CA should call local water damage assessment professionals to make that determination. They will know how to dry out and salvage many of the electronic devices, cutting business losses to a minimum. Black mold is dangerous and it can turn into a major problem for your commercial property. Protecting your South Oceanside, CA, commercial property is likely a priority for you, no matter your business niche. However, there are some dangers that can develop out of sight and turn into a major problem before you can spot them, such as black mold growth. 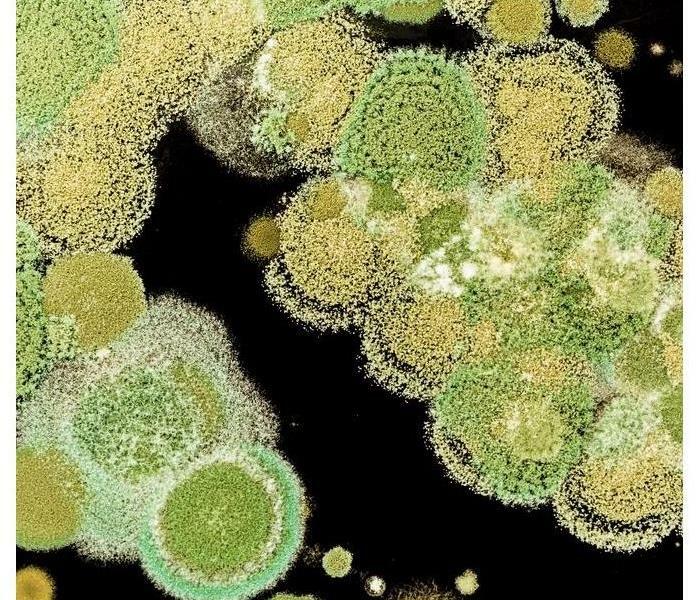 This fungus and others like it can cause serious damage to multiple building materials, but knowing a few facts about how to find and eliminate them may help you to better defend your building. Moisture and humidity are two of the major causes behind ceiling mold. Once mold spores in the air find this type of environment, they latch on, eat and start to spread. Spores from new growth can then spread to other areas of the ceiling. If your area sees humid summers or plenty of rain, consider installing ceiling fans in each area to keep humidity levels low. Even a small ceiling leak can attract mold spores. It is wise to monitor each floor of your building, especially the attic, after a downpour or during a few consecutive days of wet weather. If you discover that a roof leak is causing the problem, you can lower the risk of mold growth by using a temporary tarp to keep moisture out until your roofing contractor arrives to make repairs. Black mold and other fungi can grow quickly once your ceiling begins to leak, but it may not always be visible. However, sudden and mysterious stains on your ceiling can alert you to a problem, especially if the mold is growing on the underside of the ceiling material. Connecting with a mold damage and removal company can help you resolve this issue and prevent serious problems with your ceiling. Your South Oceanside, CA, commercial building can come under attack by black mold and other types of damaging fungi during wet weather. Checking your ceilings for leaks and being aware of how mold forms may help you prevent fungi from getting a foothold on your business. Your client calls to report that the basement of his or her business in Fallbrook, CA, has been flooded. The big problem is that the flood saturated many important documents. As distressing as this can be, there is hope. The documentation restoration process used by water damage experts is designed to save important documents, even if they have been damaged by flooding. Here are some techniques that the professionals use to make sure your clients don’t lose valuable data. Document drying starts with freezing the damaged items. Once frozen, they are placed in a vacuum chamber, removing air. Moisture turns to vapor, and even more, vapor is released as the chamber is slowly warmed. If the flooding was caused by a storm, it is likely that the document restoration process will include sterilization. Storm water is considered Category 3 water, which can contain harmful bacteria. Gamma irradiation is used to combat this bacteria. Gamma rays can pass through fibers and kill bacteria at the DNA level by breaking up covalent bonds. Because no heat is produced in this process, it is safe for delicate documents. Another way that SERVPRO can help your client retrieve their damaged documents is with digitization. Converting important data to digital files can help save a lot of storage space. Digital documents can also be stored remotely, freeing them from the dangers of any flooding, fire or damage to the building that may occur in the future. If your client has a flooding disaster that damages important documents, there is probably no need to panic. When you choose SERVPRO as a preferred vendor, its document restoration team can help your client retrieve the important information needed to run his or her business. My Water Heater Is Leaking: Now What? Out of sight, out of mind: the home water heater is an easy appliance to forget when planning routine maintenance. Water pooling outside of the drain pan is a sign of trouble, and just mopping up the water around a leaking water heater will not solve the problem. Assessing where the water is coming from will determine the best course of action that you need to take to mitigate the risk of a failed water heater and resulting expensive repair. The gaskets and valves may have come loose from the water pressure flowing through the system. Pressure from the temperature setting being too high can cause leaks. Debris in the tank is also a common cause of leaking. Turn the power off to the water heater before trying to manipulate any of the parts on the machine. Turning the unit's water switch on and off can help determine exactly where the leak is coming from. If the leak is minor and appears to be coming from a particular valve, tightening the valve with a wrench will probably do the trick. If the problem is more serious, such as water spraying from the middle or bottom of the tank, you will likely have some water damage. Call a professional to assess the water damage and ensure the repairs are done safely. Water heaters do have a finite life cycle. Rust and corrosion are signs that the water heater is near the end of its useful life. A broken water heater needs to be replaced as soon as possible to eliminate the risk of extensive and expensive water damage. A leaking water heater needs to be addressed quickly. 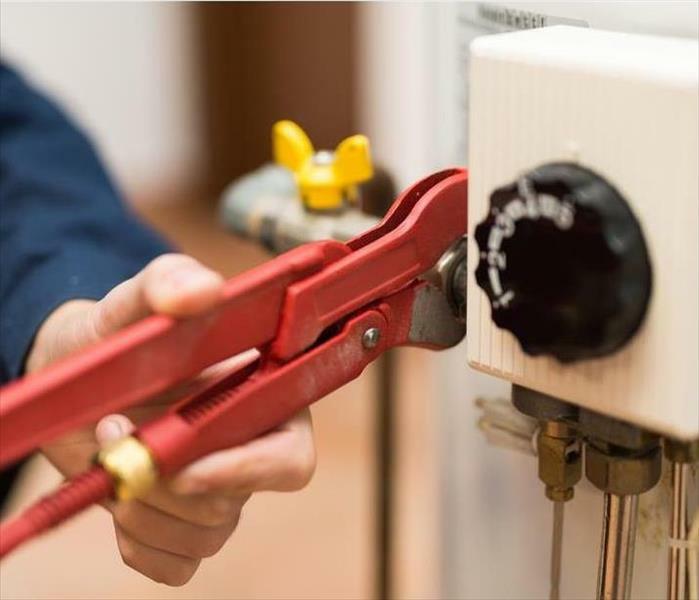 Having the number of a plumber and water restoration expert in South Oceanside, CA, taped to your heater will give you the peace of mind that help is not far away. Water loss airflow quickens the evaporation of water making it difficult for settled spores to grow. So, you had a moisture problem, smelly mold emerged, and you quickly swung into action removing standing water and drying surfaces. The area is dry, and the mold is gone – or is it? Many people think that once an area is dry and they can’t see mold, it’s gone. The fact is black mold doesn’t ever go away without targeted actions. If you’re wondering whether mold is truly gone from your South Oceanside, CA home, learn more about what it takes to eradicate mold. The latter can be as simple as paper, drywall, wood or other organic matter. Eliminating mold is as simple as drying the area out, right? Not quite. It’s true that drying a moldy area will stop active mold growth because spores need moisture to multiply. But this doesn’t impact the existing mold. So, while mold may not spread, it will continue to exist causing smells and unsightly stains. Worse yet, if any sort of water makes it to the remaining fungus, can reactivate a patch of black mold. That means it can start producing spores again and new mold can appear. The fact is, whether dried or not, mold needs to be removed to prevent reactivation and new growth. To actually remove the fungus, you must clean nonporous surfaces that were contaminated and throw away porous materials. Cutting out moisture is step one in eradicating black mold, but it’s not the end of the process. Work with a residential mold cleanup specialist to create a plan to truly eliminate mold and take your home bag from this bothersome fungus. How Can SERVPRO Prevent a Catastrophic Property Loss After a Water Event? Your dedicated SERVPRO professionals will reply to a water emergency call within the hour. When a home sustains water damage, it’s imperative to begin the evaluation and repair process as soon as possible to limit the potential for catastrophic property loss. 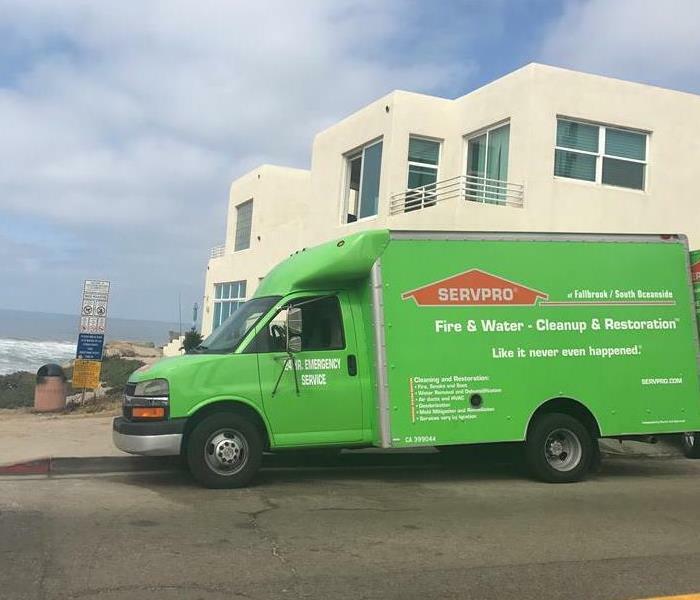 With 24-hour availability and over 1,700 locations in the U.S. and Canada, SERVPRO is the premier emergency restoration franchise that can contain the devastating effects of water infiltration and minimize the overall cleanup cost. By keeping some basic water damage facts in mind, you’ll be reaching out to your local SERVPRO office in Fallbrook, CA the next time you’re tasked with handling a flooding emergency. 1. Water will begin to destroy property within minutes. When water makes contact with furniture, carpet, flooring, and personal possessions, it’s absorbed immediately. This can cause floorboards to bend and warp, furniture finishing to bleed onto carpets, and treasured heirlooms to form mold spores. Your dedicated SERVPRO professional will reply to a water emergency call within the hour. This fast response time can save a home from extensive flooding damage. 2. Water damage causes a musty odor to develop quickly. It takes less than a day after a catastrophic water event for an entire home to develop a stale, unpleasant smell due to water absorption. With 24-hour service available 365 days a year, your local SERVPRO franchise is always open to eliminate mildew odors by restoring affected materials such as drywall and wooden surfaces. 3. Waiting to address water damage will cost you. After about a week, a home affected by a catastrophic water event begins to deteriorate dramatically. Internal support systems such as floor beams can start to rot and become structurally unsound, and mold growth will likely accelerate rapidly. The restoration process for these serious issues can be exorbitantly expensive. That’s why calling a dedicated SERVPRO professional to assess damage at the first sign of flooding is so important. 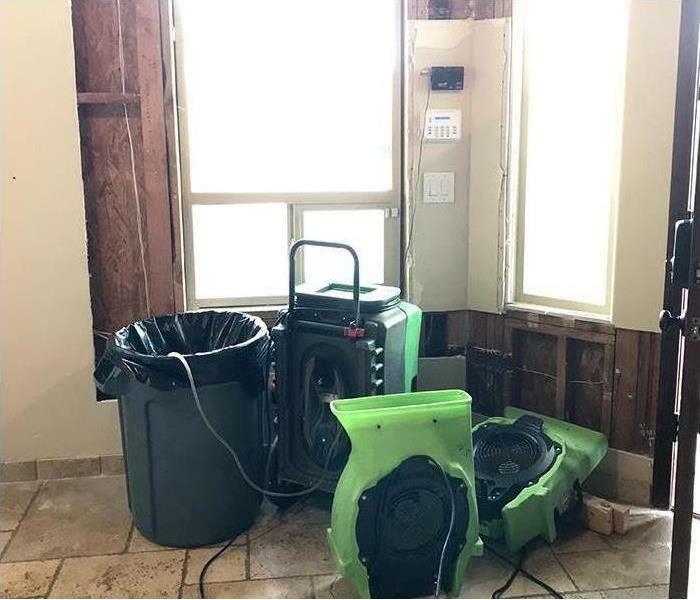 While a major water event inside a home can be a source of stress and anxiety for everyone involved, contacting a local SERVPRO professional to assess the damage within a 24-hour time frame can typically reduce overall restoration cost and prevent a catastrophic loss of property. SERVPRO of Fallbrook/South Oceanside provides storm damage restoration. Storm damage is likely a reality for your business in Fallbrook,CA. When your workplace is struck by a flood, it’s important to have a plan for content cleaning. Nobody wants to think about damage and the potential for devastation, but thinking ahead could alleviate some of the destruction caused by water. It’s crucial to make sure your workplace is safe to enter following a storm. If any electrical boxes were impacted by water, you need to have an inspector make sure the building is free from danger. Also, be mindful that wet floors could cause workers to slip and fall. When it is safe to enter your business, start dealing with water by mopping it up. Inspect your things to see what can be restored. It’s much cheaper if you can do content cleaning on items rather than replacing them. After removing items from tables, start wiping the excess water away. Take cushions off couches and chairs; prop them up against a wall for faster drying. Remove photos or art from walls, and store them in a dry place. Certain items in your office may be able to be saved after being touched by storm waters. Non-porous materials like stainless steel are constructed to withstand water and have the best chance of survival. Porous objects like terry cloth towels may have to be discarded. These items allow water to pass through them freely and are more susceptible to damage. Acting quickly following a storm gives you the best opportunity to save many of your office items. If you’re overwhelmed by the amount of work created by water damage, you could seek professional help for content cleaning. You’ll definitely need help if your business is ever impacted by black water. Find a company that provides storm damage restoration before a storm hits. That way, you’ll have a company to turn to if severe weather wreaks havoc on your office. Removing smoke in your home in South Oceanside, CA, after it has been damaged by a fire can be a difficult, time-consuming process, and even after scrubbing and cleaning, the smell of smoke may still be present. 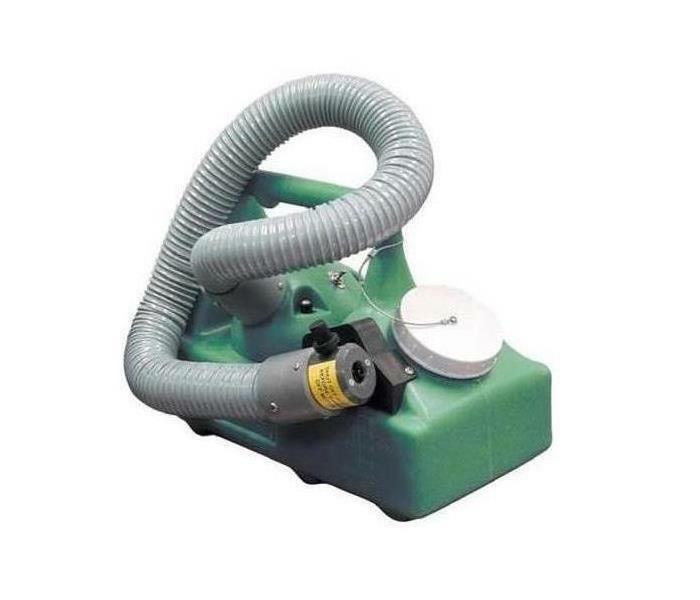 However, with the right equipment, smoke cleaning can be simple and effective. There are a wide variety of air filtration devices that are often used after a home has been impacted by a fire. Air filtration devices help to make the air in the home safe to breathe and can also lessen the smell of smoke simultaneously. Many of these devices use HEPA (high-efficiency particulate air) filters in their machines because HEPA filters are able to capture small particles out of the air. Ozone machines are often used in the process of smoke cleaning because the machines are incredibly effective. First, the ozone machine is placed in the area that has been affected by smoke. Large homes may require the use of more than one ozone machine. These machines change the makeup of smoke particles through oxidation. As a result, the smell of smoke can be eliminated. Thermal foggers are specialized pieces of equipment that can help to assist in removing smoke odor throughout the home. Fogging involves, as the name suggests, a fog being released into the area that has smoke damage. The fog particles can reach into small places, such as in miniscule cracks, in the same manner, that smoke particles can reach into such places. The fog is then able to neutralize the odor of smoke. Using equipment such as air filtration devices, ozone machines, and thermal foggers can make the process of smoke cleaning less labor-intensive. Some homeowners whose houses have been damaged by fires find it useful to get in touch with fire and smoke damage restoration experts when they are unsure about neutralizing odors. Whether it is caused by a leaking sink or other plumbing issues, mold underneath sinks in your home in Fallbrook,CA can be difficult to spot until major damage has occurred. However, knowing common causes of mold growth under sinks can make it easier to take preventative steps. 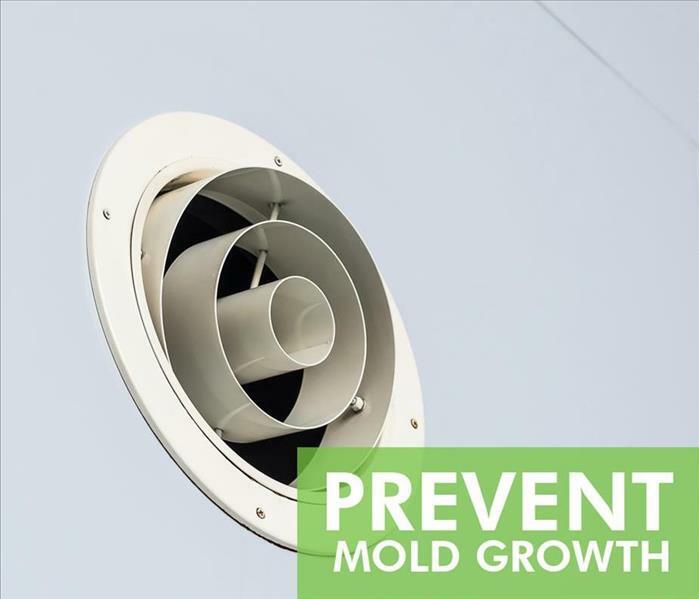 Mold requires access to organic material and water in order to thrive, and when a pipe is leaking, this creates an excellent environment for mold to grow. Mold can grow on various areas under sinks and can grow in a span of only one or two days in the right conditions. In order to prevent mold from causing major damage, it’s often helpful to fix the leak as soon as possible. Though a leaking sink can, of course, cause mold to grow under sinks, there are other plumbing problems that can also result in mold growing underneath your sinks. Since sinks are often placed near other appliances in bathrooms or kitchens, it’s possible that water is coming from leaks in other appliances, such as from a dishwasher. Additionally, if the sealant wears down over time, loose caulk could allow for water to drip underneath the sink. Sinks are generally necessary in kitchens and bathrooms, but these areas in the home are often the perfect places for mold to grow. In bathrooms, humidity levels rise when someone takes a warm bath or shower, and in kitchens, humidity levels are higher when food is boiled or steamed. To keep the humidity at an acceptable level to prevent mold growth, it’s often wise to use dehumidifiers in these areas. Understanding that a leaking sink, faulty appliances and high levels of humidity can cause mold to grow under sinks should make preventing mold easier. However, if your home is experiencing major mold problems, consider contacting mold remediation professionals. As a business owner, the safety of your employees and everyone else in your building in South Oceanside,CA, is in your hands. Are you prepared to respond quickly in the event of a business fire? Follow these safety tips to ensure that you can answer that question in the affirmative. Your two main sources of protection during a fire are your fire suppression system and your fire extinguishers. Have your fire suppression system, including alarm panels, fire doors and sprinklers, inspected regularly. Make sure you have enough working fire extinguishers to place one at least every 75 feet and that they are mounted properly. Your building is bound by both state and federal fire codes. Exits must be properly marked and the pathways to them unobstructed. Electrical plates must be used to cover all wiring so that none of it is exposed. Comply with all laws and make immediate changes when mandated by fire marshals. All potentially hazardous or flammable material must be stored properly. It is also essential to label liquids that could easily contribute to a business fire so that anyone who sees them knows what they are. Before firefighters can put out the fire and fire damage specialists can restore your building, everyone must vacate it. 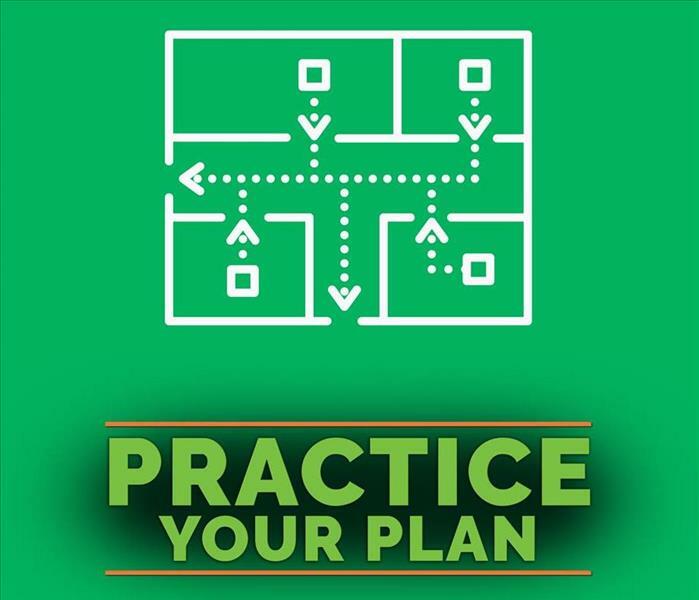 Having an evacuation plan helps everyone know what they’re supposed to do. This plan should be posted in prominent areas, especially around exits. Even the best plan is useless unless people know about it. Fire drills are a necessary part of fire preparation. Having a drill twice a year helps your employees practice fire safety plan so that they know what to do in case of an emergency. The best business fire protection is preparation. Keeping your building up to code and enforcing safety measures can help you prevent most fires, and having a workable fire suppression system and evacuation plan can help get people to safety for the fires you can’t prevent. 3/17/2019 - My Water Heater Is Leaking: Now What? 3/6/2019 - Can Mold Go Away on Its Own? 2/20/2019 - How Can SERVPRO Prevent a Catastrophic Property Loss After a Water Event?